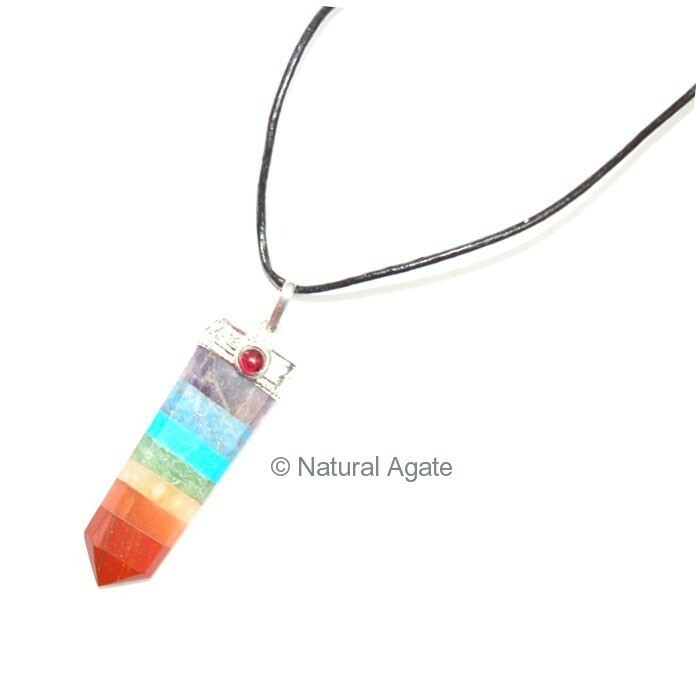 Chakra flat Pencil Pendant with Leather Cord is available on Natural Agate. It is 20-45mm long. This pendant keeps you body energy balance.